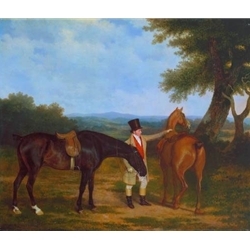 Born in Switzerland, Jacques-Laurent Agasse moved to England in 1800. He studied veterinary science in Paris before devoting his life to art. However, his initial interest carried over and he mostly painted animals.